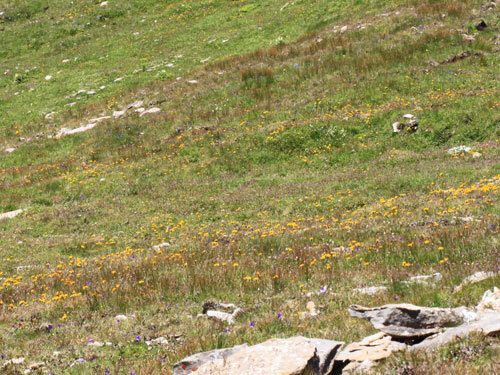 From southern Austria and Grindelwald in Switzerland. 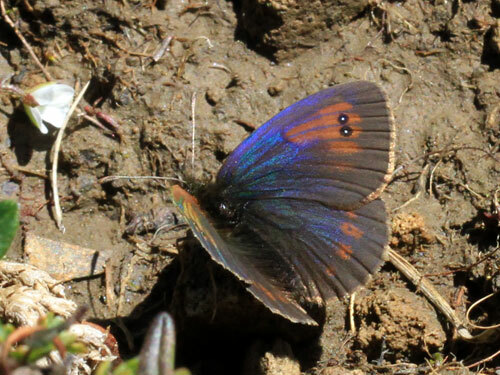 As with all the brassy ringlets, it can be common where found. 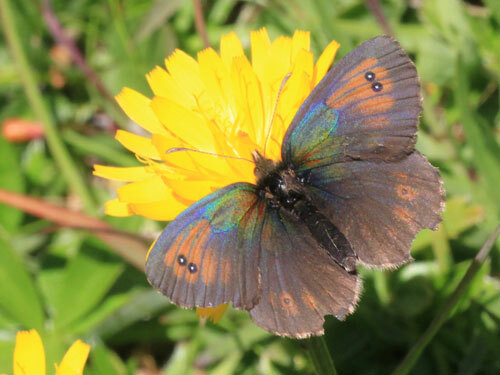 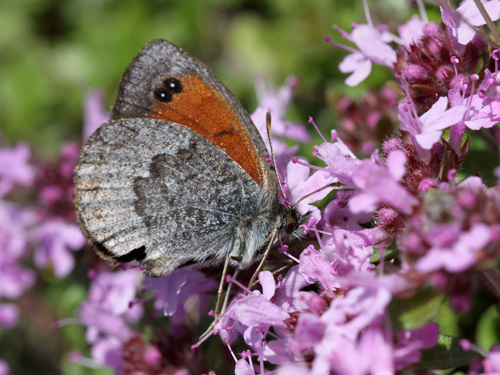 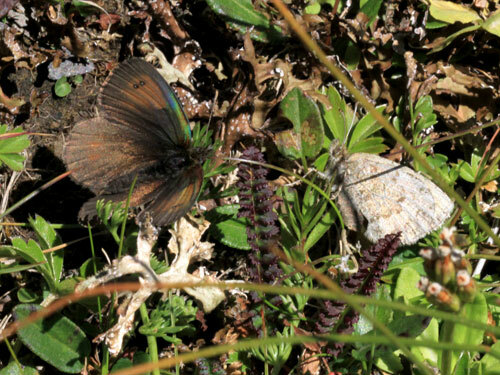 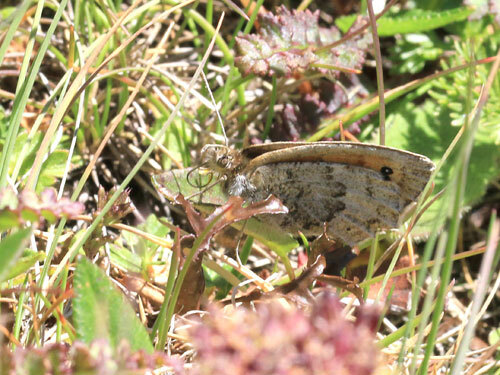 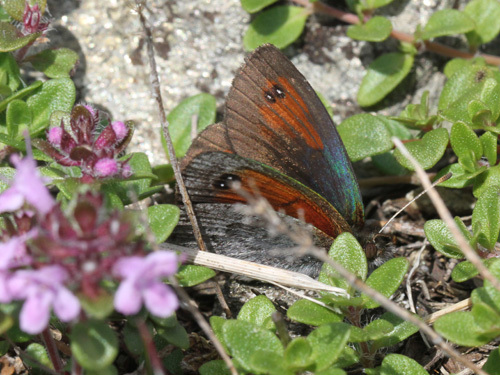 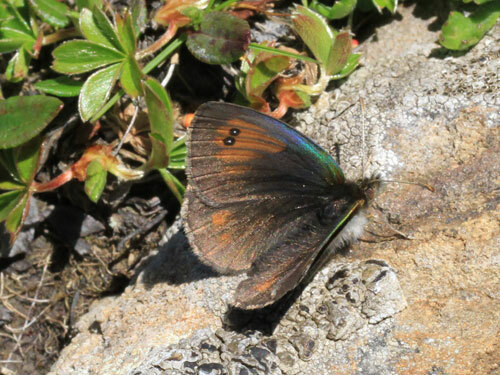 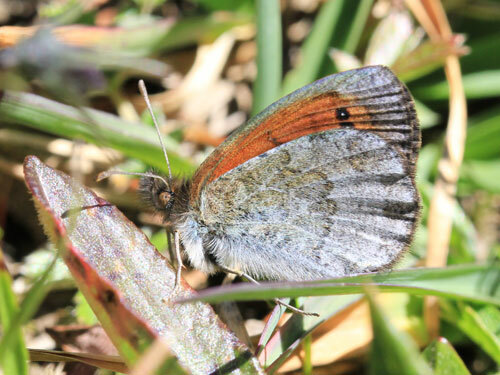 In the Grindelwald region of Switzerland it overlaps with the Swiss brassy ringlet E. tyndarus. 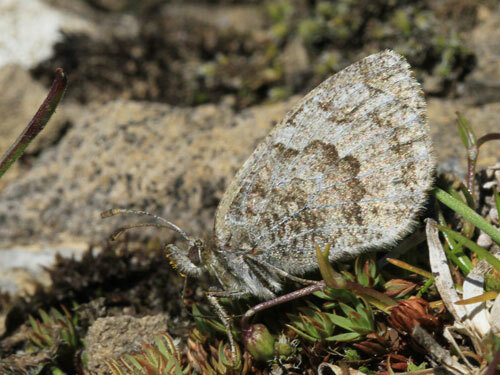 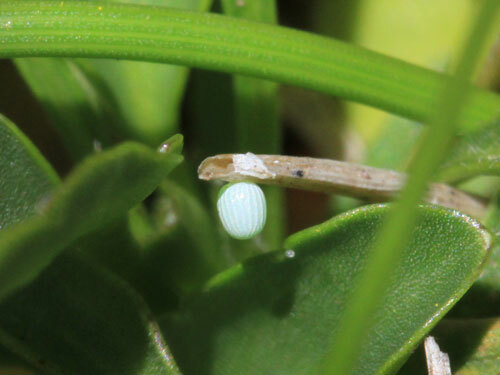 It is separated by altitude, with the current species being found at the highest levels. 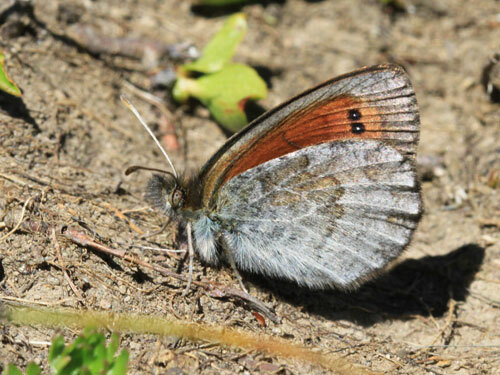 Red-orange markings on the upperside tend to extend basally, on the forewing towards the cell, on the hindwing creating elongated spots with black spots displaced to the outside. 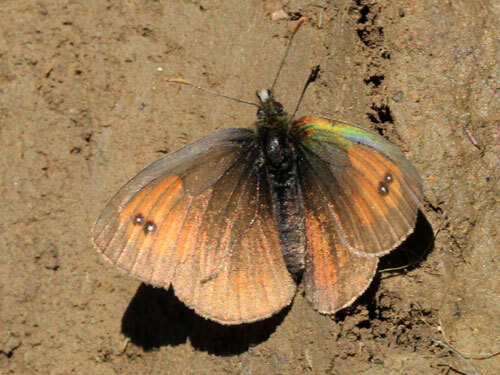 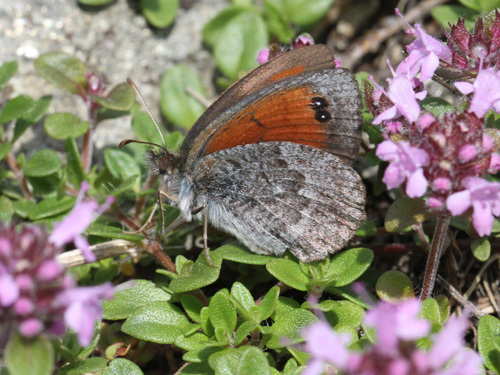 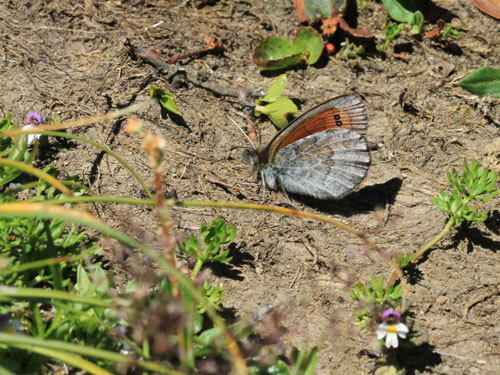 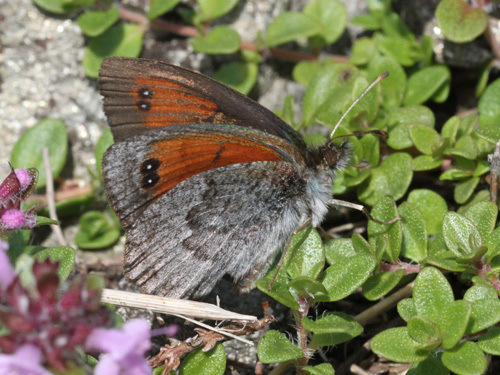 In Austria the common brassy ringlet E. cassioides can be separated by the upperside red-orange markings that extend basally and the underside contrast. 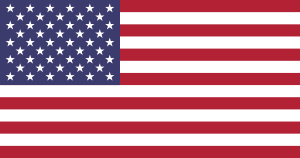 Distribution & Flight: Only from the Grindelwald region of Switzerland and western Austria. 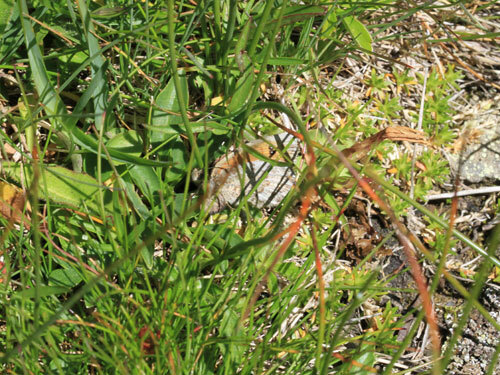 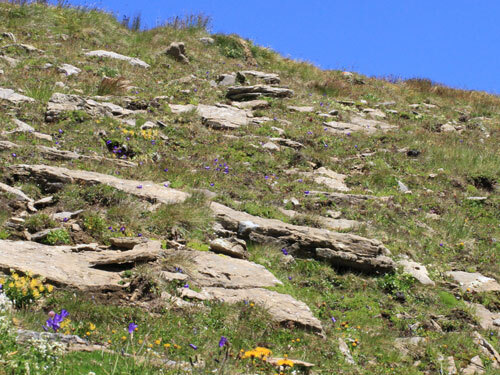 Habitat & Behaviour: Grassy slopes with stones and rocks at high alpine levels.